Back in 1983 Nissan challenged itself to look forward to what their cars might look like in the 21st century. 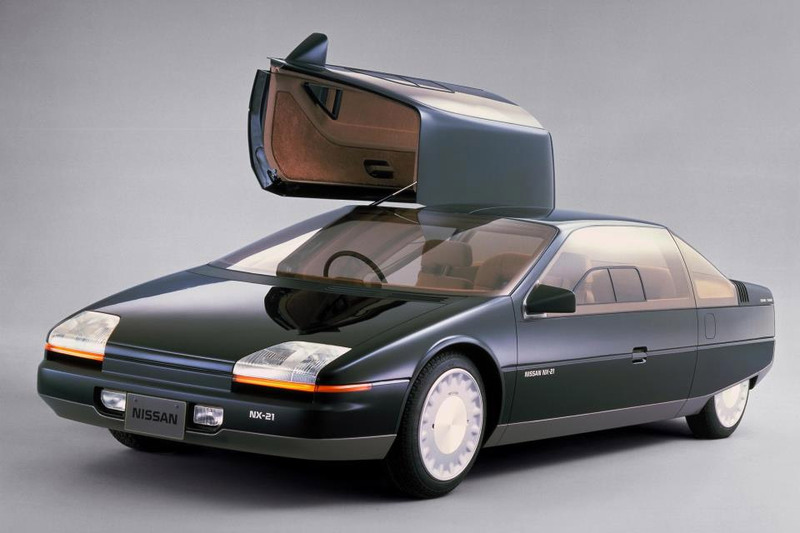 The car that designer not only had an unusual design, but an unconventional drivetrain to go with. The car was a four-seat coupe, and had massive folding power gull-wing doors which provided access to both rows of seats. Its engine was rear mounted, and used a dual-shaft gas turbine with ceramic components. Power was rated at just 100hp, which seems like a pittance for a car of its size, but the engine had the unique ability to burn gas, diesel, light oil, alcohol or kerosene. 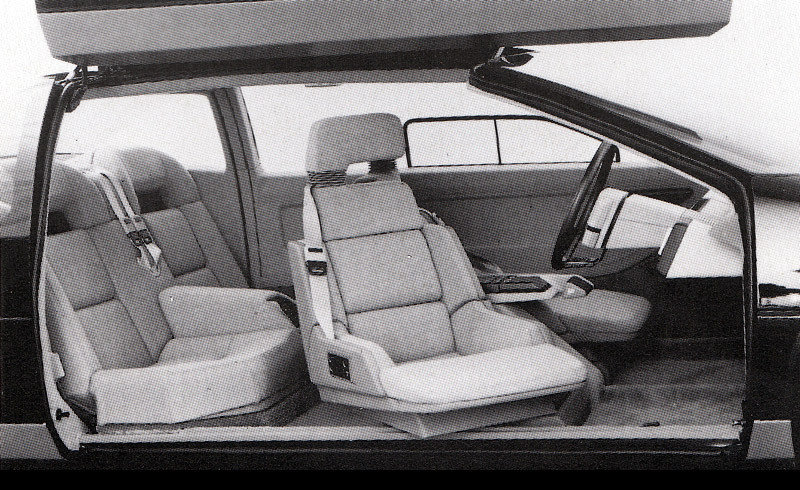 The vehicle had some other interesting design touches, including headlights that were molded into a wedge shape, secondary vent windows built into the doors, and swiveling seats for easy entry and exit. Inside, the car had minimal controls, including a floating steering wheel, digital gauges, voice-based alerts and push-button shifting. 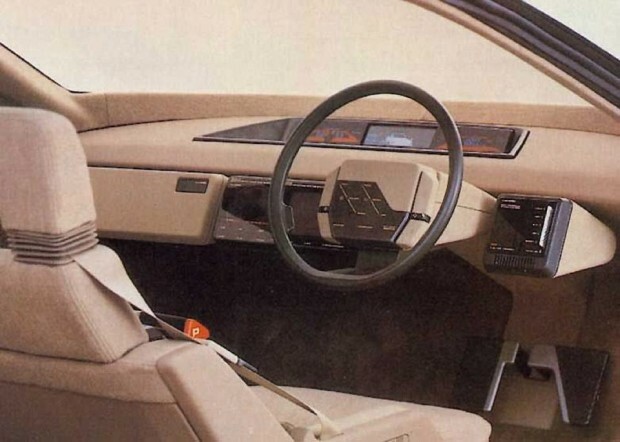 It also had no rear view mirror and used a video screen instead (sound familiar?). Pretty much everything about the NX-21 was angular, with very few curves to be found anywhere. The design started out pretty strong in the front, but it seems to lose something as you get to its stubby engine compartment in the rear. Still, there’s something oddly compelling about the industrial design of the NX-21. 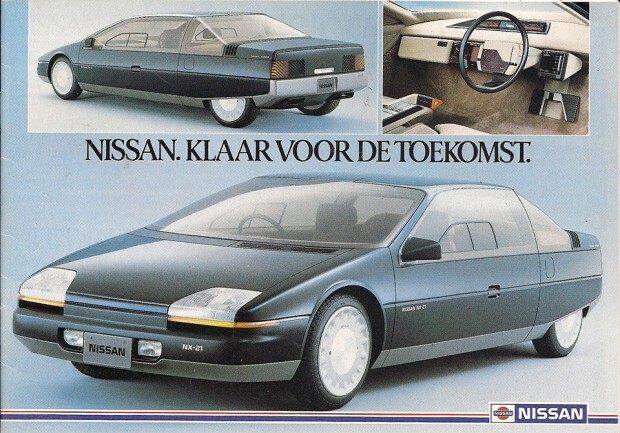 It’s sort of what a DeLorean might have looked like had they decided to make a family car. Eventually, some of the Pulsar’s design cues would turn up in the old Pulsar NX – especially those diagonally-striped taillights, and funky hatchback lid.